Everyone loves the summer; sunny days and long warm evenings. It is just that it can feel like work gets in the way of the enjoyment a little bit – who wants to be stuck in a stuffy office while the sun is shining? Even worse, who wants their workload and stress levels to double because someone from their team is off having fun at an all-inclusive resort in the sunny Mediterranean? What can be done to keep employees enthusiastic about their jobs and ensure that productivity does not suffer as a result of sporadic staffing levels and low moral? Communication and Planning are always the key! Ensure that everyone knows in advance who is off and how long for. Everybody needs to have a clear understanding of what tasks need to be delegated and what can wait. If there is a clear plan and structure in place the work environment should not feel chaotic. No one person should have a work load that is massively increased. Flexibility – A hot, sticky office on a Friday afternoon!? All you want to do is go and enjoy the sunny weather. Could you offer a ‘Summer Friday’ scheme where, if all work is up to date, staff can leave early? It could be on a rota basis, or name out of a hat thing. Obviously, the logistics would have to suit your business. If that wouldn't work for your company, maybe you could offer a longer lunch break so that staff get a chance to sit outside and enjoy the afternoon sun (if we have any!). Summer Dress Code – Who had a ‘shirt sleeve’ rule at school? On hot days’ pupils received permission from the head teacher to take off their blazers and ties? Would it benefit your employees if you relaxed the company dress code a little over the summer? Show Appreciation – to those employees who hold the fort and keep everything running smoothly whilst other team members are away. Everyone benefits from a little bit of praise and recognition. It could be as simple as a quick e-mail or high five next time you pass. 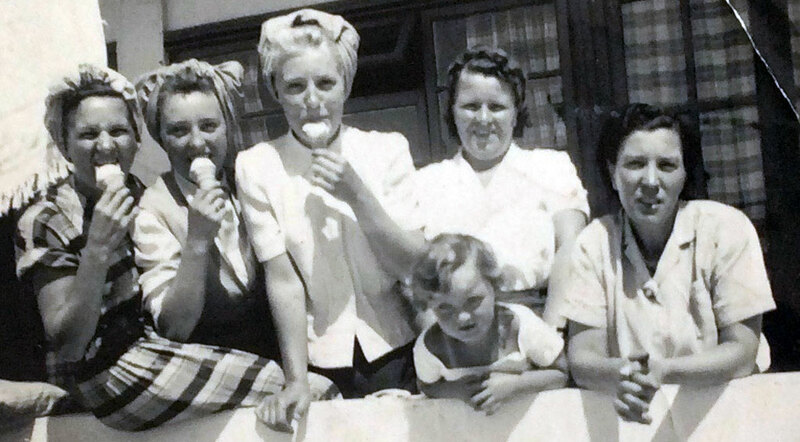 Or how about a coffee / lunch voucher for the employees ‘stuck at work!’ What about a visit from an ice cream - a fun way to embrace the summer and show your employees that you value their hard work and commitment. Stick with the plan – If you have team meetings on a Friday, make sure you stick to that routine. Even if you have a reduced team it is important to keep up to date; that way important information doesn't get missed and it gives other members of staff the opportunity to shine. If the summer is a slower time for your business, it might be a good idea to plan training courses for your employees during this time. It might help to spark new enthusiasm. Bond – Take time to find out how employees holidays went... chat with staff that are not away, find out what their plans are, when they are going away etc. Take an interest in your employee’s personal life, show them that you understand and value down time, this should create a positive work culture. Competition time! – Create a bit of fun and give your employees something different to look forward to coming into work for. There are endless possibilities... who can send the funniest postcard from their holiday? Summer sports sweepstake, retro sports day – this could be a lunch break thing or could be a family and friends’ fundraiser on a weekend, or how about setting up a swap shop for lilos’ and beach reads? The idea is to have something that joins the team together throughout the summer, keeps them connected and gives them something fun to chat about / do. Of course, there is no one formula to keeping everyone motivated over the summer. The ideas mentioned here are just intended to get you thinking. It's a case of getting to know your employees and finding out what they feel would enhance their working environment. For some food and drink recipe ideas to help you hold on to that holiday feeling take a look at the links below. Summer would’nt be Summer without Pimms!